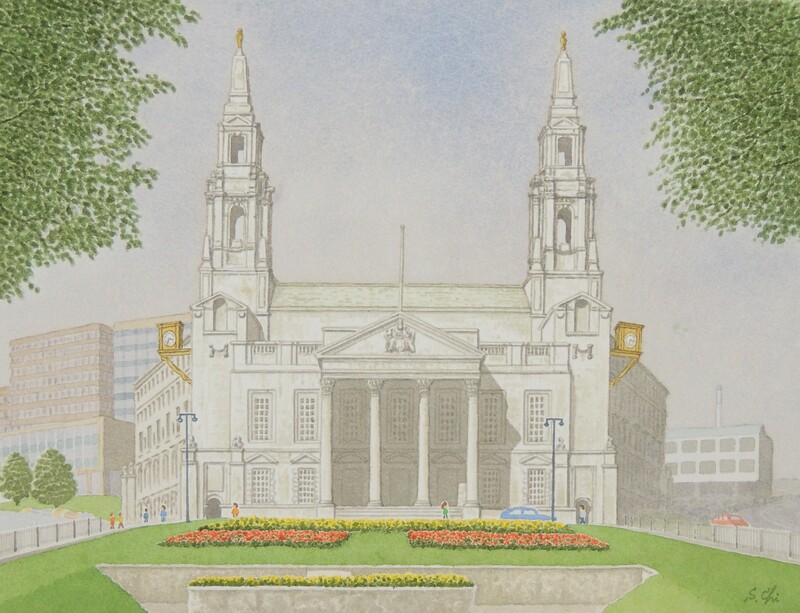 There are two symbolick buildings in Leeds. 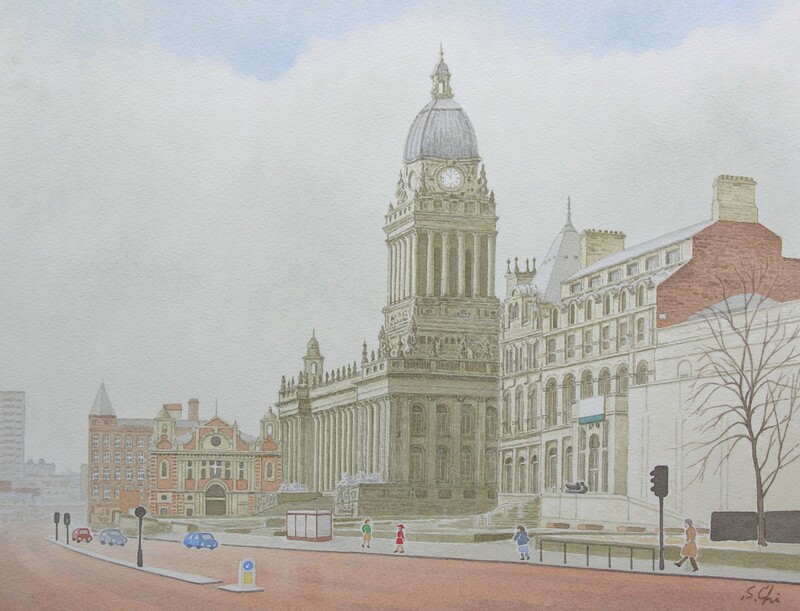 One of them is the Town Hall standing at Victoria Square on Headrow. Four stone lions are at rest in front of it as gaurdians, and the unbelievable huge clock tower, 223 feet high, is soaring on the hall. The Town Hall was designed by Cuthbert Brodrick, an architect from Hull, and his design was chosen by Sir Charles Barry at the competition in 1853. The Town Hall, opened by Queen Victoria in 1858, was black when I was there, but it has been cleaned, I understand that it now appears an attractive light brown. Being very stately and dignified, it deserves to be praised as one of the masterpices of Victorian buildings. The other one is the Civic Hall which was built during the Depression. It was designed by E. Vincent Harris in the neo-clasical style and has two towers in the both sides of the front, which look like ears of a hare. The towers are surmounted by two gilded owls which are supporters of the city's coat of arms. The Civic Hall was constructed with Portland stone. I think it is still shining white. I heard that someone said "it looks like an expensive wedding cake!" I quite agree with him. It was opened by Geoge V in 1933. I prefer the Town Hall, where I visited to listen to classical music several times.